This chapter explores a succinct approach for soundly implementing rigorous reasoning for hybrid systems. 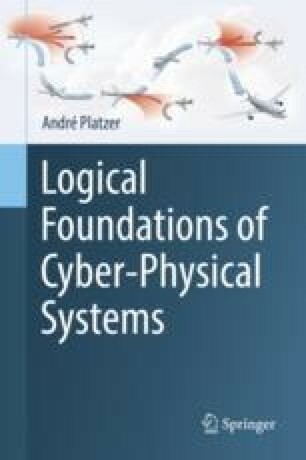 Unlike previous chapters, this chapter is not concerned with identifying new reasoning principles for cyber-physical systems, but, rather, focuses on how they can best be implemented correctly. Uniform substitutions are identified as a simple concept based upon which differential dynamic logic proof systems can be implemented quite easily. Uniform substitutions uniformly instantiate predicate symbols by formulas. Since all reasoning can be reduced to finding the appropriate sequence of uniform substitutions, this makes it possible to implement theorem provers with a small soundness-critical core.